The government has published new guidance for consumers and businesses in relation to mobile roaming when the UK leaves the European Union (EU). You can currently use your mobile phone in the EU with guaranteed surcharge-free roaming, meaning you can make calls, send texts and use mobile data services for no more than you would be charged when in the UK. This surcharge-free roaming is guaranteed until the UK leaves the EU. In the event of a deal, surcharge-free roaming would continue to be guaranteed during the implementation period. Following this, the arrangements for roaming and surcharges would depend on the outcome of the negotiations on the Future Economic Partnership. In the event of a no deal, the costs that EU mobile operators would be able to charge UK mobile operators for providing roaming services would no longer be regulated after exit day. From that point, there would be no guarantees for surcharge-free roaming in the EU. Those living or working in border areas should be aware of 'inadvertent roaming'. This is when a mobile signal in a border region is stronger from the country across the border. For example, someone from Northern Ireland located near the border could roam onto an Irish network if their phone signal is stronger from a network in Ireland. The availability and pricing of mobile roaming in the EU, including across the island of Ireland, would be a commercial decision for mobile operators. 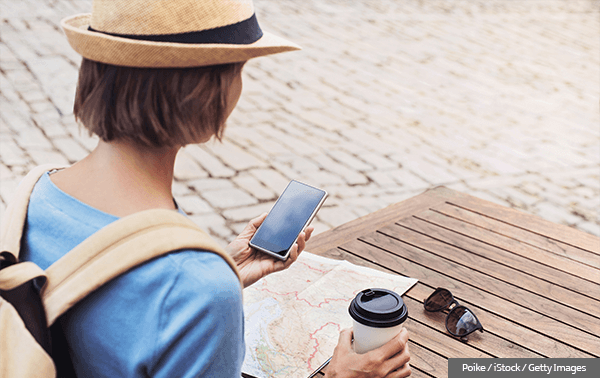 If the UK leaves the EU without a deal, you should check the roaming policies of your mobile operator before you go abroad or if you live or work in the border regions. If your operator has not changed its roaming policy, you will continue to have surcharge-free roaming. Some mobile operators (3, EE, O2 and Vodafone) have said that they have no current plans to change their approach to mobile roaming after the UK leaves the EU. However, others may offer roaming with different terms and conditions. What can you do to avoid roaming surcharges? You should also understand how much different services might cost. For example, streaming live television or sending large video clips from your device is likely to be more expensive than checking your email, as they use large amounts of data. To protect consumers from unexpected charges, the government has retained in UK law a financial limit on mobile data usage while abroad, currently set to £45 per monthly billing period. This limit means that consumers cannot continue to use mobile data services when roaming unless they actively chose to continue spending. The government has also legislated to continue to ensure that consumers receive alerts when they are at 80 and 100 per cent data usage. For more information, read the government guidance on mobile roaming if there is no Brexit deal.